Dr. John Donohue has worked in two- and four-year institutions, both public and private, and has designed, implemented and taught in programs leading to associate’s, bachelor’s, master’s and doctoral degrees. With a Ph.D. in anthropology from Stony Brook University, he has served as tenured professor, dean, vice president, provost and acting president. He is an expert on curricular design and program development and brings more than 30 years of experience in these areas to Synergis Education. Prior to working with Synergis, Dr. Donohue worked at a variety of colleges and universities that were committed to curricular innovation and the design of programs targeted to serve the needs of non-traditional learners. As he witnessed the tremendous impact that access to higher education had for non-traditional learners, he became committed to exploring the ways in which creativity, flexibility and a commitment to academic excellence could be integrated into new approaches to higher education. During his tenure as chief academic officer at three different colleges, he provided academic leadership that led to dynamic program, curricular and institutional development. Dr. Donohue also has served as a consultant for chief executive officers in higher education, providing analyses of program costs and benefits and creating analytic tools that assist institutions to support organizational missions, while simultaneously improving operational return on investment. 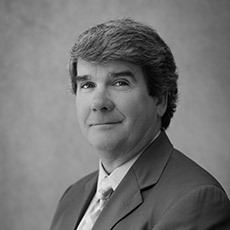 Dr. Donohue most recently spent almost six years as Chief Academic Officer at Albertus Magnus College in New Haven Connecticut. Ultimately rising to the position of Provost and Vice President for Academic Affairs, Dr. Donohue was responsible for coordinating institutional strategic planning, developing new programs at the undergraduate and graduate levels, leading the development of fully online programs, planning and implementing a switch to a new and improved learning management system, and working successfully with state, regional and disciplinary accreditors to secure program and institutional accreditation. After beginning his career in higher education at Adelphi University’s University College in 1987 as a Coordinator of Services, Director of Academic Affairs and ultimately Associate Dean of the college, Dr. Donohue continued to serve at a variety of institutions throughout his career. He was Dean of the School of Liberal Arts at SUNY Morrisville. He then became Chief Academic Officer of Medaille College and ultimately was selected to serve as that institution’s acting President. He also served as Vice President for Academic Affairs at D’Youville College. In addition to his academic leadership activities, Dr. Donohue has maintained an active research and writing agenda, publishing numerous scholarly books and articles, as well as seven novels.